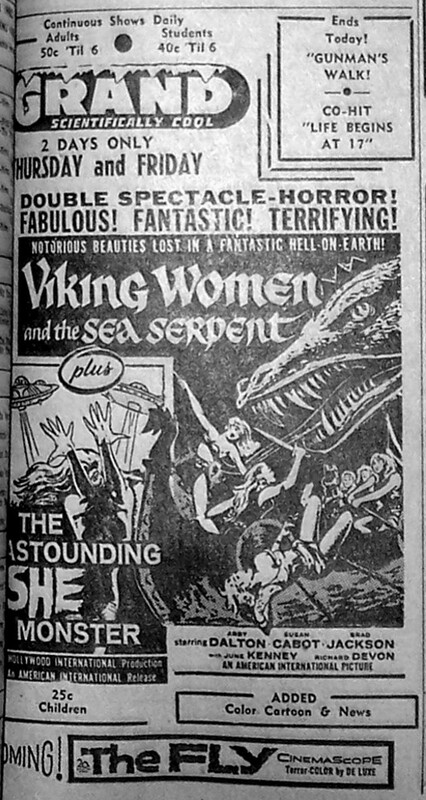 Poster campaign for Viking Women & the Sea Serpent at the Archive. 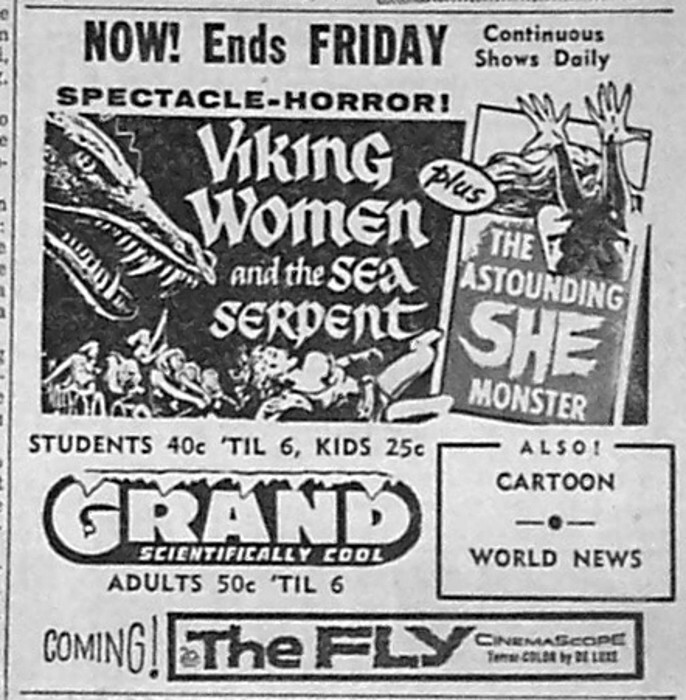 Poster campaign for The Astounding She-Monster at the Archive. 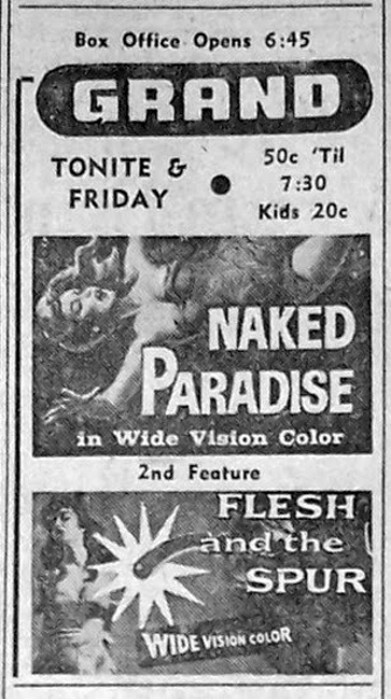 Film review of Flesh and the Spur at the Brewery. 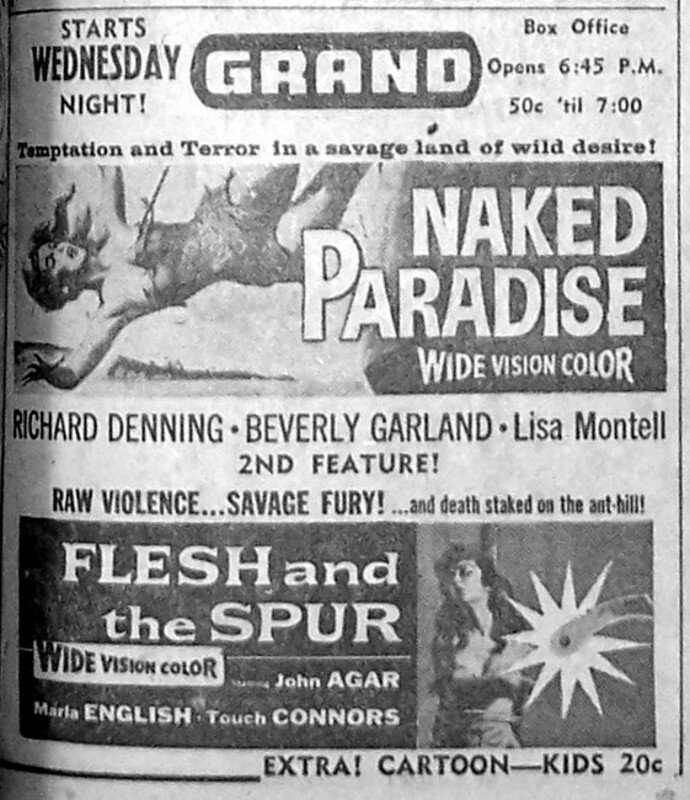 Poster campaign for Flesh and the Spur at the Archive. 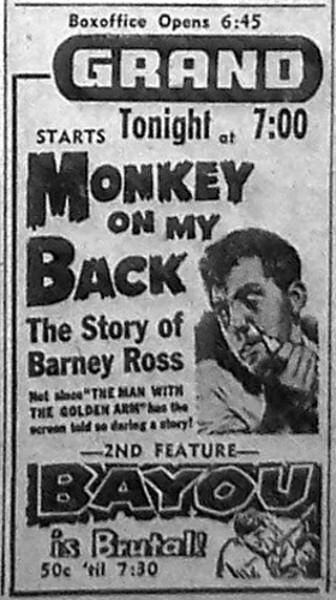 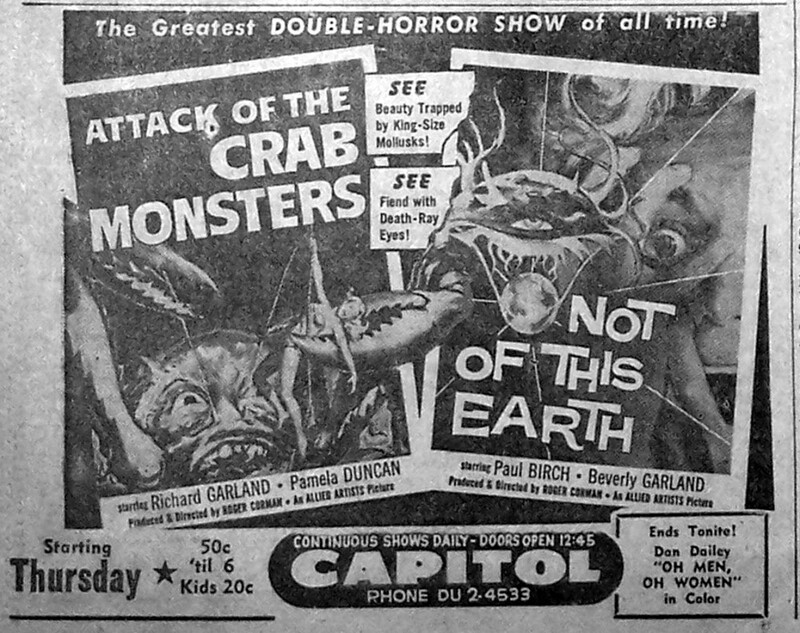 Poster campaign for Attack of the Crab Monsters at the Archive. 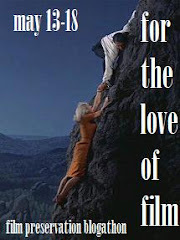 Poster campaign for Not of This Earth at the Archive.